The Sacramento Mercy residents recently experienced freedom in a unique way through the Freedom and Fashion program. Developed on the premise that “fashion is the most universal form of communication,” Freedom and Fashion’s mission is to use the arts of fashion and beauty to empower youth who are overcoming trafficking, homelessness, and other injustices. 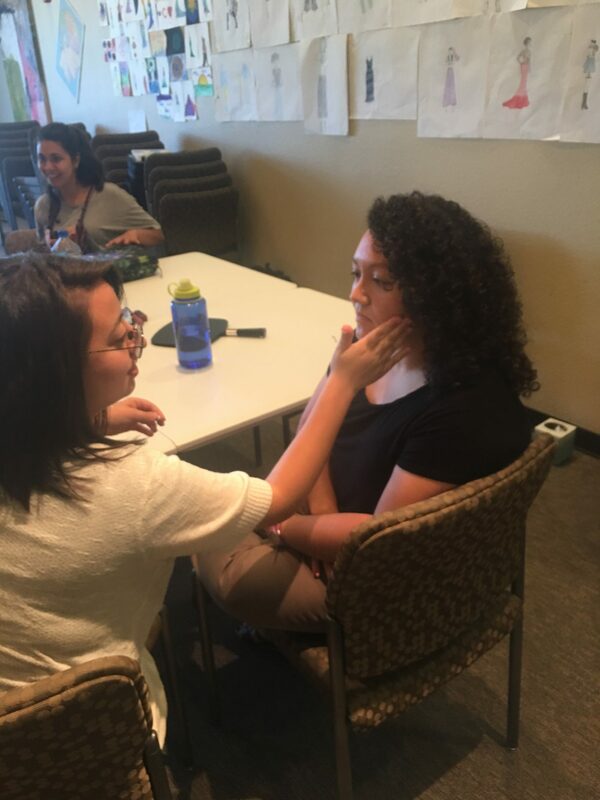 Freedom and Fashion recently led a two-week pilot of their mentorship program at the Sacramento Mercy home, in which residents engaged in practical lessons about their identity in Christ, self-image, leadership, and the power of choice as they learned about fashion. 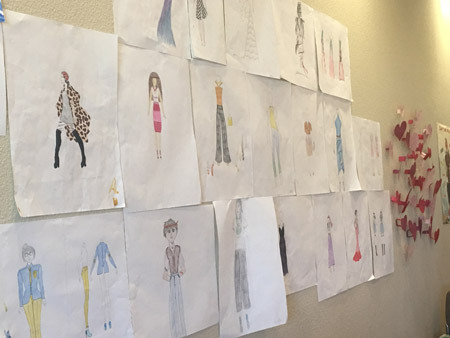 The program culminated in a Studio Day on Friday, June 23rd, when Mercy residents were paired with a Freedom and Fashion mentor to create a photoshoot from start to finish. The photoshoot showcased through photography, styling, hair, and makeup what the residents had learned over the course of the program. Studio Day was amazing. I’ve never felt so beautiful or joyful or had so much fun. It was a great end to the program. It helped me step into my role as a princess of the kingdom of God. I felt so royal and loved. My plan of action is to remember and step into my princess role every day, never forget how loved I am, and to remember this time forever. Words can’t explain how sad I am it is over. While they were here, my perspective on beauty was challenged outside of worldly standards. I also saw how much I let my thoughts of my appearance debilitate me. It was so amazing to learn so much about my Mercy sisters. I feel like I’ve gotten so much closer with them, and in turn, it has made me feel beautiful inside. My plan of action is to thank God; He not only provides, but gives above and beyond! I am so glad we had this amazing opportunity to do Freedom and Fashion these past two weeks. I have learned so much about fashion and beauty and how it ties in with scripture. I loved being able to see all of my sister’s unique styles and personalities come out in these past two weeks. The Freedom and Fashion team all touched my life in very special ways, and I am so blessed to have met them. My plan of action is to remind myself every morning what true beauty is and to strive to do big things in life. Freedom and Fashion has been the coolest experience, and I’m so thankful I’ve gotten to be a part of it. I hope someday to be able to do for others what they’ve done for me. At first, when I was trying to put makeup on, I got a little discouraged when I looked in the mirror up close and saw the wrinkles on my face, but then I prayed for God’s peace and began thanking Him for creating me perfectly and my attitude quickly changed. I am so thankful for all the women who came today and made us feel beautiful. It was truly a blessing I’ll never forget! My plan of action is to show love to others the way I was shown love today, to have a thankful heart and to have confidence. 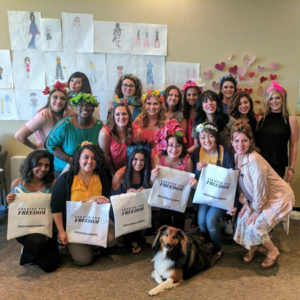 Mercy Multiplied is thankful for the Freedom and Fashion team for teaching our residents practical life-skills and encouraging messages of hope and transformation.